Accommodations in centrally-located three-star or four-star hotels. Rooming on a triple basis. Double rooms: $240 per person. Round-trip transportation on scheduled airline. 72-hour public transportation pass (including Ostia Antica). All breakfasts. All dinners. Dinner with entertainment at Le Terme del Colosseo on Day 7. Weeks, or even months of preparation come to fruition at last as you board your airplane bound for Europe and the glittering jewel at her heart, Paris, the "City of Light." Bienvenue! Settle into your hotel, then set out to explore one of the world's most beautiful capital cities. 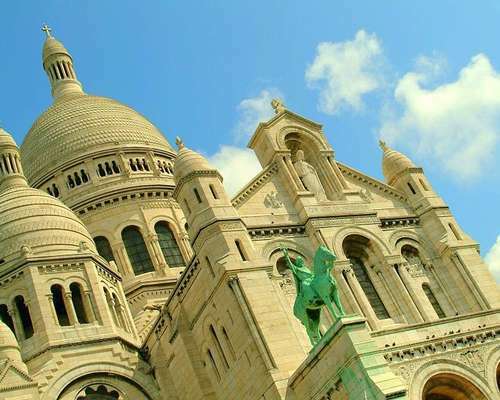 Time permitting, you may want to head to Montmartre, Paris' highest hill and its most celebrated bohemian district. Artists still flock to the charming Place du Tertre, as they did when Toulouse-Lautrec painted the French Cancan dancers at the famous Moulin Rouge cabaret. Visitors enjoy panoramic views of the city as they make their way to the Sacré-Coeur, the white-domed basilica that anchors the Parisian skyline. 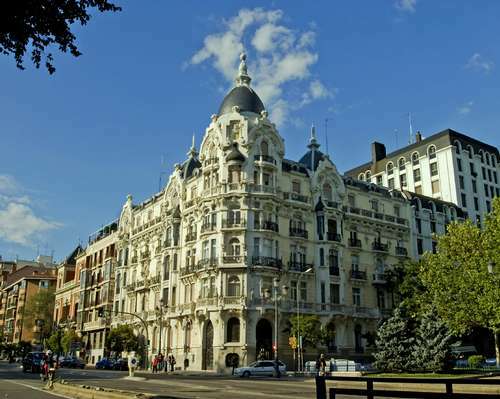 Set out on a coach tour of the city in the company of a local guide. On the Right Bank of the River Seine, see Napoléon's Arc de Triomphe, the Champs-Elysées, the Place de la Concorde, and the exuberant Opéra Garnier. On the Left Bank, discover the Eiffel Tower, the Invalides, the Latin Quarter and Saint-Germain-des-Prés. A full-day local guide, well-educated and specially-trained on the history and culture of Paris and its surroundings, will accompany your group. Enjoy a bit of relevant French history today at the palace where the Sun King, Madame de Pompadour and Queen Marie-Antoinette all come to life. In this ultimate example of Baroque architecture, you will marvel at the lavish decoration, abundant gilding and exuberant ornamentation, particularly in the Royal Apartments of Louis XIV and in the Hall of Mirrors. Imagine the sense of self-importance that must have inflated the egos of these kings and queens. Then, take a stroll around the Main Gardens. Return to Paris using the efficient RER transit system. Enter Notre-Dame de Paris. This cathedral has presided over centuries of glorious and somber French history, from its construction in the Middle Ages to its desecration during the French Revolution, and the coronation of Napoléon Bonaparte in 1804. Admire its bas-reliefs, statuary, gargoyles, and remarkable rose windows. See Paris transformed into a wonderland like no other during a cruise along the River Seine. 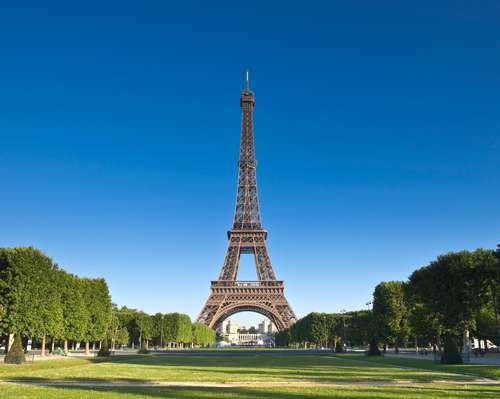 An excursion takes you into the very essence of the history and culture of France. See two of France's loveliest châteaux, which define the sophistication of the Renaissance. Discover the prettiest of the Loire Valley châteaux, which spans the River Cher. In 1547, King Henri II gave this property to his mistress, Diane de Poitiers. On her orders, splendid gardens were added and a bridge was built to link the castle to the other bank of the Cher. The famous gallery later erected upon that bridge by Queen Catherine de Medici served, during World War II, as an escape route between Nazi-occupied northern France and unoccupied southern France. Lunch is included on this excursion. Visit the largest of the Loire Valley castles, with 440 rooms and 80 staircases. At the age of 25, King François I decided to build this sumptuous residence, but over the 32 years of his reign he spent only 42 days at Chambord! Today, visitors marvel at the park (enclosed by a wall 18 miles long), at the grand façade, and at the spirals of the Grand Escalier, which cross and recross as they rise from the Salle des Gardes to a 100-foot turret crowning a roof adorned with 365 chimneys! Let the 3D and virtual reality technology of your HistoPad Chambord fill up castle rooms as they were in their heyday, back in the 16th century, while you listen to automatically triggered commentaries. Take an elevator to the deuxième étage of the most famous cast iron structure ever built, la Tour Eiffel, for an unforgettable panorama of Paris. Ascend to the third level of the tower. Enjoy a three-course dinner at the restaurant 58 Tour Eiffel located on the first level of the Eiffel Tower. Enjoy some free time in Paris. You may wish to visit the Musée de la Parfumerie Fragonard housed in the Théâtre des Capucines, a theater built in 1900 that was transformed into a museum in 1993. Its collections illustrate the history and manufacture of perfume. A mini-factory with a 19th-century copper distilling apparatus demonstrates the extraction of essences. Visitors also learn all about the esoteric artistry of the "Noses." Check out Rue Cler, a pedestrian-only street lined with shops that are quintessentially French. You will see boulangeries with crunchy breads, pâtisseries with scrumptious pastries, boucheries and charcuteries with their array of meats, poissonneries with freshly caught seafood and fromageries with the proverbial 365 kinds of French cheeses. There are also wine shops and épiceries with fresh fruit and produce. In addition, every morning (except Mondays) and again in the late afternoon (except Sundays), Rue Cler hosts an open-air market whose stalls overflow with more foodstuff and goods. This is the place to shop for a truly-French picnic (there's a park nearby). Au revoir, Paris! You're flying to the "Eternal City." More treasures await your discovery. Plan a visit to the Trevi Fountain, one of Rome's most celebrated sights, which was the terminus of the Aqua Virgo aqueduct. Throw a coin over your right shoulder and into the spray to ensure your return to this wonderful city! Treat yourself to a gelato. You're in Rome! Walk through the best known monuments of Ancient Rome, the Colosseo and the Foro Romano. Once the heart of a vast empire, the Forum was filled with extravagant buildings and crowded with people from all over the known world. Your combination ticket to the Colosseum and Roman Forum also allows entrance to the Palatine Hill archaeological site and its museum: should time permits, you may want to make your way up the hill to visit the oldest and most prestigious residential area of Ancient Rome. A local guide, specially-trained on the history and culture of Rome and its surroundings, will accompany your group. Inside the "Temple to All the Gods," you will understand why it has been called one of the better-preserved and most harmonious monuments of antiquity. Walk through the plaza built on the site of Domitian's Stadium. 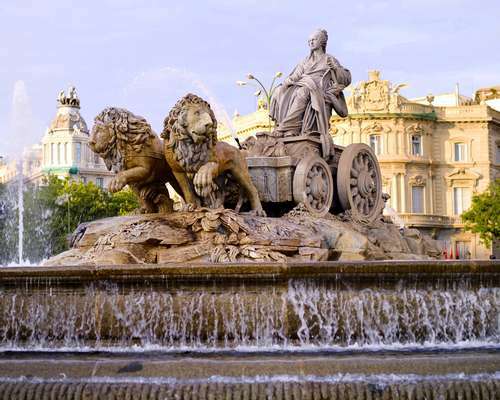 Lined with grand buildings and trendy cafes, this oblong square is adorned with statues and fountains, notably Bernini's Fountain of the Four Rivers. Discover outstanding masterpieces collected for the Vatican Museums since the early 1500s. You will see exceptional statues from antiquity, such as Laocoön and His Sons and the Apollo Belvedere, and stunning Renaissance paintings, notably in the Raphael Rooms with The School of Athens fresco. A half-day local guide, well-educated and specially-trained on the history and culture of Vatican City, will accompany your group. Marvel at Michelangelo's Last Judgment and brightly-colored ceiling frescoes in the Cappella Sistina. Enter the sanctuary recognized as the world's largest church. The Basilica di San Pietro also houses priceless works of art, in particular Michelangelo's Pietà and Bernini's Dove of the Holy Spirit. Tonight, enjoy dinner with entertainment at the restaurant Le Terme del Colosseo, which is located between the Colosseum and the Roman Forum, in halls with arched ceilings and exposed stone. It offers a variety of Italian dishes accompanied by musical entertainment titled "Roman Fantasy," with singers in costume. Ciao, Europa! Statistics show that visitors do in fact return to Rome, although it may not have anything to do with coins in a fountain. Race the sun and arrive home later today, eager to share your discoveries with family and friends.